We are justly proud of our academic staff and what they do for our students and what they contribute to their learning. Many of our IB teachers have taught in schools around the world and have a clear understanding of the international aspect of what we do here. Quite a few of our staff are IB examiners and IB Teacher Workshop leaders. Our class sizes are small; 8-10 on average, and our teaching approach is informal, so students are able to experience a high level of individual attention and personalised learning from their teacher. This informal environment is appreciated greatly by staff, teachers and students alike. Search through our teachers using the alphabetical links below. Alastair has always had a strong sense of international identity having spent his formative years studying for a European Baccalaureate at The European School, Culham. He graduated with a degree in Biochemistry from Edinburgh, but quickly realised he lacked the patience to be a research scientist. He subsequently worked for several years in London recruiting finance staff for a range of clients in the oil industry before returning to Edinburgh University to retrain as a teacher. Subsequently, as well as successfully producing two offspring, he taught in a state school in London before moving to Abingdon School where he taught biology and ran the Duke of Edinburgh’s Award programme. This allowed him to indulge his love of hill-walking, whilst attempting to persuade the students to love it too. 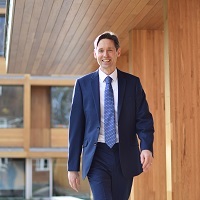 He moved to St. Edward’s, Oxford in 2008 and held various posts including Head of Year and Head of Biology before being promoted to lead the IB Diploma programme. Five years of effort saw IB numbers eventually eclipse the numbers studying A levels. Alastair joined St Clare’s in November 2018 and is looking forward to continuing the development of the highly successful IB diploma programme at the college. Thanks to his schooling he is able to discuss topics such as US agriculture in the 1930s in German to some extent, but wishes his everyday speaking and writing skills had not suffered 25 years of neglect. He still enjoys hill-walking, cooking (particularly Lebanese dishes), occasional triathlons, playing the piano and watching Oxford United draw 0-0 in the pouring rain with his son. Alex Palmer is an English teacher who has worked at St. Clare’s since 2011. After reading English Language and Literature at the University of Manchester, Alex began his teaching career in Argentina in 2008, where he taught groups of teenagers, trainee teachers and managers from banks and oil companies. On his return to the UK in 2011, Alex started teaching at St Clare’s International College and completed the DELTA qualification through the University of Cambridge. Over the next four years he taught every option offered on that campus, including the University Foundation course, the English plus Academic Subjects programme and exam preparation classes. He was also the Director of Studies for the teenage and junior summer courses (2013-2015), where he developed the syllabuses to encourage students and teachers to progress onto the courses that run during the academic year. In January 2016 Alex moved to the IB campus on a full-time basis to teach English B on the IB Diploma. His aim is to not only develop a student’s intrinsic motivation to learn the language, but also to expand their vocabulary and understanding of their other subjects too. Andrew Young, who graduated with Combined Honours from the University of London, has been teaching both History and Politics at St. Clare’s, Oxford since 1987. 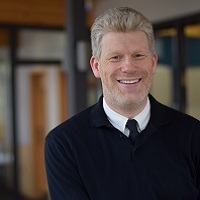 As Joint Head of the Humanities Department he has recently overseen the introduction of the IB’s newest course, Global Politics, into the curriculum. As an author he has published articles in Modern History Review on topics as diverse as Benito Mussolini’s rise to power, and Mao Zedong’s policies towards women. Andrew has a particular interest in an arcane branch of politics known as Psephology – the study of electoral systems and voting behaviour. He has helped to organise and co-lead multiple St. Clare’s trips including India, Israel, Prague, Northern Ireland, Krakow and Auschwitz. As part of his commitment to advancing international education and understanding he runs the in-house Model United Nations group, and has co-led delegations to inter-school MUN conferences. Married to a Californian girl, Barbara, they have four mid-Atlantic children: Acacia, Jemma, George, and Ian. Astrid Fraser is the Senior Librarian at St. Clare’s, and has worked at the college since 2004, starting as the Assistant Librarian and moving into her current position in 2006.Astrid graduated in Politics and Media Studies from De Montfort University, and went on to work in bookselling and publishing before deciding to make the move into librarianship. She did a library traineeship at the Bodleian Library and gained her MA in Librarianship from the University of Sheffield. She returned to Oxford and worked at the Politics and International Relations Faculty Library, for the University, before joining St. Clare’s.Astrid is a longstanding committee member of the Oxfordshire School Library Association, and was on the editorial committee of the School Library Association publication, Riveting Reads Plus: a view of the world, which consisted of reviews of books and films chosen to increase young people’s understanding of different cultures. Astrid has worked in children’s homes in India and Bangladesh and loves to travel. She also enjoys visiting museums and galleries, watching films and reading.She loves the fact that a book can open her eyes, and transport her, to another time or place. Christos Halkiopoulos CPsychol AFBPsS holds degrees in general and applied psychology (both graduate and postgraduate) from the University of London (UCL and Birkbeck College). Since 2003 he has taught IB Psychology at St Clare’s (Oxford) where he also taught TOK for over a decade. Christos has co-authored the IB Psychology textbook published by Pearson and is now writing for the second edition of this book to address the new psychology curriculum. Christos helped shape this Curriculum as a member of the Curriculum Review team and is now busy delivering Category 1, 2 and Category 3 (Subject Specific Seminars) workshops on it to psychology teachers in the UK and abroad. 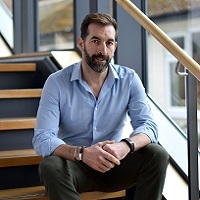 As a Chartered Member and Associate Fellow of the British Psychological Society (BPS), Christos is passionate about enhancing the scholarly credentials of IB psychology and its teaching in ways which are vibrant and up-to-date and help students attain the highest grades possible. 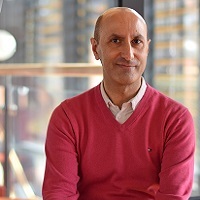 As an Organisational Psychologist and BPS-Registered Coaching Psychologist he delights in helping employees and students with issues relevant to well-being and motivation. Christos holds both Greek and UK nationalities and his hobbies include art history, guitar playing, long walks …and doing absolutely nothing. Clifford Culbert has been a Physics teacher at St. Clare’s since 2013. He teaches both Higher and Standard Level Physics along with pre-IB Physics and has also taught IB Astronomy. He has been a teacher since 2000 having worked as a mechanical and chemical engineer previously. He attended Kingston Polytechnic and gained a sandwich degree in mechanical engineering, which included work experience at Vauxhall motors and Blanc Fabric in France. He worked for two engineering companies as a design engineer for three years before running his family business as a consultant chemical engineer in specialised electroplating. 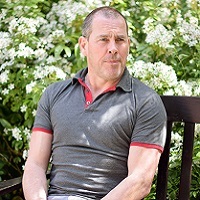 Clifford trained as a teacher at Oxford Brookes where he gained his PGCE in 1999. Prior to St Clare’s he worked at the Misbourne School and John Hampden Grammar School, where he taught Physics and was KS3 Co-ordinator. His outside interests are his family, including his wife, three children and two dogs, coarse fishing and cricket. He is secretary of his local coarse fishing club and is currently trying to improve the local fishing facility by building better parking and a potential new fishing pond. Colin Ely has been the warden at 197 Woodstock Road since 2012 and is also one of the team of duty managers, responding to student emergencies evenings and weekends. Living in residence at St. Clare’s since 2004 with his wife Tessa and their two children, Colin has also worked as a relief warden and football coach.Having trained in graphic art and photography Colin ran his own graphic design business for many years, more recently concentrating on interior design projects along with garden design – he has achieved Gold and Bronze awards at Chelsea Flower Show. Other projects have taken him to Europe – notably renovations to a French Châteaux. Colin’s leisure interests focus on fitness and sport. He cycles regularly, was a keen oarsman and coached rowing for a number of schools in Oxfordshire and Berkshire. He maintains a love of the mountains and mountaineering, climbing rock as well snow and ice. Summits have included Mont Blanc and the Matterhorn! 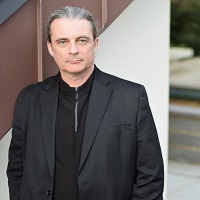 Cormack has taught English and Theory of Knowledge in England, Argentina and France. His first degree was at Leeds, he completed his PGCE at Reading and an MEd at Bristol. He also has a Cert TEFL. His career began in Sixth Form and Tertiary colleges in Harrow and Somerset where he was Head of English, Humanities and Languages, mostly running A Level programmes. In 1998, he took his family to Argentina for two years where he was converted to the superiority of the IB and he then went to Toulouse, France where he set up the IB Diploma in a brand new international school. Cormack has worked closely with the IBO as a Senior Moderator for English IA, a workshop leader and a member of various sub-committees. He came to St Clare’s in 2008 and can’t imagine wanting to work anywhere else. He has four children, runs with a local club and speaks (with more enthusiasm than accuracy) Spanish and French. A follower of Tottenham Hotspur, he is inured to disappointment. Daniel Edevbaro is a Criminal Justice Practitioner with the Administration of Criminal Justice, Oxford. He holds an MSc and PhD in Political Science as well as Certificates in Criminal Justice Administration and Labour Law. His doctoral dissertation The Political Economy of Corruption and Underdevelopment in Nigeria was published in 1998 by the Helsinki University Press. Daniel did his Post-Doctoral research at St Antony’s College, Oxford and was a Senior Associate Member of the college for 2 years, researching on State and Development in Africa. He also served as Research Associate at the United Nations World Institute of Development Economic Research (UNU-WIDER). Daniel has written articles and essays on corruption, state and society and his current interest is in identity, power and legitimacy. He has also been a Bramshill Fellow, National Policing Improvement Agency, UK. Daniel is the warden for 4 Staverton Road residence and lives at St. Clare’s with his wife and their two children. In addition Daniel works part-time in the college library. Darrel grew up by the coast in Devon before going to study at the Oxford School of Architecture. As a RIBA Chartered Architect he worked with various private practices involved in projects all over the UK, Europe and Riyadh, Saudi Arabia. As well as undertaking private commissions, he has mainly specialised in the education sector working on schools, colleges and universities. This exposure eventually led Darrel into teaching, where he chose to specialise in Maths because of his fascination with mathematical concepts, his enjoyment of problem solving and the importance of Maths in the workplace – especially relating to construction. He enjoyed studying various Maths courses with the Open University before returning to Oxford for a PGCE course. 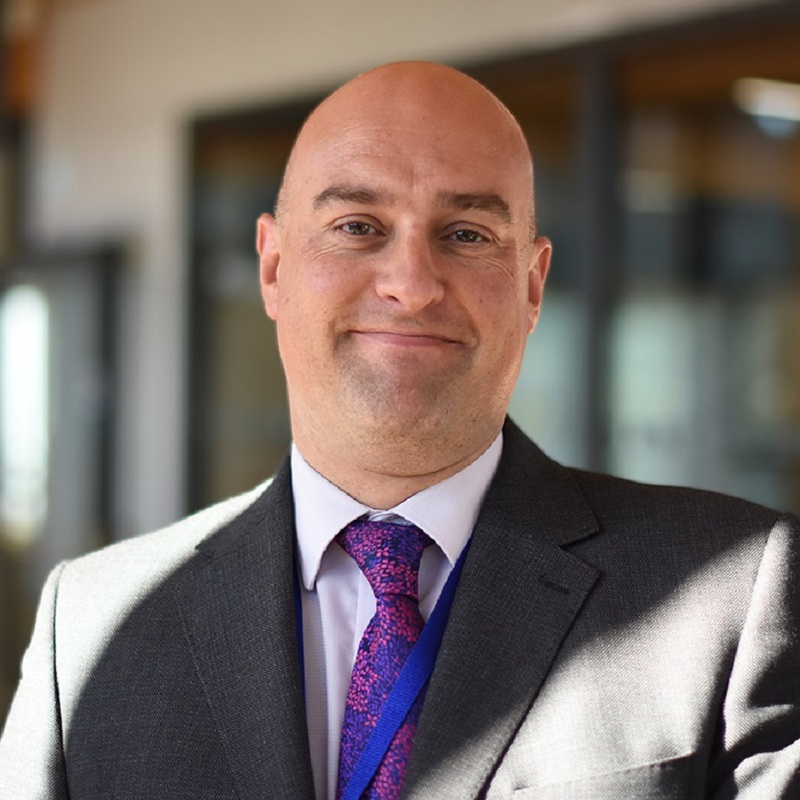 Darrel worked in three UK schools and recently managed a department of 12 secondary maths teachers, and undertook leadership and management of assessment and progress before moving to St. Clare’s as Assistant Principal Academic in 2014. Darrel lives in the beautiful city of Oxford and spends time progressing building projects, and with his family (including 3 children). He enjoys visiting new places, art, architecture, design, painting, woodwork, reading and KenKens. He likes a wide variety of music, plays guitar and aspires to play piano. Darrel enjoys swimming and has intermittent success when surfing in the summer months. David Chaplin teaches Theory of Knowledge on the IB, and Photography on our senior courses. He has been working at St Clare͛s in various capacities since 1999, becoming a member of the TOK team in 2001. He has attended many workshops and training sessions since then, and helps to run the TOK module for our IB summer school. In addition to this he delivers our popular ͚TOK tours͛ of Oxford, and is a regular contributor to the Senior Seminar lecture series. In 2015 he began working as a Personal Tutor, and also works in the library where he recently set up an educational e-video platform for staff and students. He was awarded his first degree by the University of Wales in the Humanities, and has also studied Art and Design. He has a certificate in teaching basic literacy and numeracy to adults with learning difficulties, which was inspired by his work prior to St Clare͛s in the mental health division of the NHS. His main interests are photography and philosophy, and he is hoping to return to postgraduate study in the near future. He has exhibited photographs in Oxford and has taken many of the pictures on this website. David has worked in education for over 35 years. 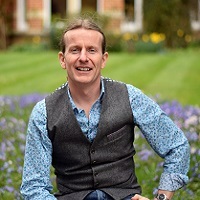 Having graduated with a BSc from the University of St Andrews and then a PGCE from the University of Southampton, his teaching career started at King Edward VI School, Southampton. Subsequent posts as Head of Chemistry then Head of Science in Framlingham College and then Rossall School led to the role of Deputy Head at Rossall and then the English International College, Marbella. On his return to the UK in 2003 David took up the post of Director of the IB Institute at St Clare’s, Oxford where he organises Diploma teacher training workshops (in cooperation with the IB) as well as a growing number summer school programmes for students of the Diploma. Alongside his work in Oxford, David has maintained and developed his roles as a private chemistry tutor, web developer and author. David was one of the content authors for the highly acclaimed Multimedia Science School by Plato learning and he has published a number of GCSE and A level chemistry texts for Pearson and Nelson Thornes (now part of Oxford University Press).In his spare time David enjoys sailing, cycling and swimming – much of which he does with his wife and two children. 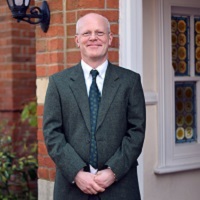 David Harris is the Head of Mathematics and has been teaching at St Clare’s since 2006. He also teaches Theory of Knowledge. He holds a BSc (Hons) in Mathematics (Edinburgh), and MEd (Bristol) and a PGCE from Manchester. David has had articles published by the European Council of International Schools and the Association of Teachers of Mathematics. He also co-authored a Maths HL revision book for the International Baccalaureate Organisation. His main online publication is planetqhe.com. 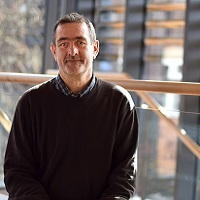 Born in Dunfermline, Scotland, David has taught in international schools in London, Cairo, Buenos Aires and in France where he was part of the team who founded the International School of Toulouse. 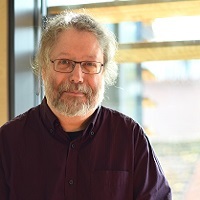 David has given talks at the International Conference for Technology in Mathematics Teaching and the British Congress for Mathematics Education. David delivers IB teacher workshops and has been an assistant examiner for the IB since 2004. David loves music, and at the moment is channelling inspiration from this field to create a website exploring the diversity of the mathematical experience. David finds relaxation in the gym, by cooking, photography or by following his football team with a loyalty that is unconditional and at times irrational. Denise Saunderson is Head of Physics and first arrived at St Clare’s in 2006 as a part-time teacher. She has spent a few years teaching elsewhere in Oxford but in 2016 her fondness for the students and staff and the ethos at St Clare’s brought her back as a full timer. Her teaching history spans nearly thirty years, with her first experience of teaching the IB in Cairo in 1992 where she was responsible for the design of a new IB Physics laboratory. 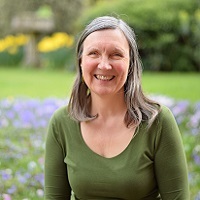 Denise has an honours degree in Physics from the University of Southampton, a PGCE from the University of Manchester and an MEd from the University of Bristol where she focused not only on science teaching but also philosophy of science and counselling. Denise began her teaching career in the state system in inner city Manchester, moving on to Egypt. After three years Denise returned to the UK, taking up a Head of Physics post in London. Ever keen on travel, Denise went on to teach in Buenos Aires, Argentina and Toulouse, France. This wanderlust has left her with a variable proficiency in Turkish, French, Spanish and Arabic. Denise has two teenaged children whom she dotes on, and relaxes by spending time with her family. Her hobbies, time permitting, include yoga and belly dancing – though not at the same time! She has a passion for physics that she can never quite switch off outside the classroom and aspires to pass this on to her students. Emily Woodeson is a teacher of Biology and Oxbridge adviser who has been working at St. Clare’s since 2014. Before this she worked in a variety of local schools as Head of Science. A keen traveller, Emily has worked in schools and charity projects in Pakistan, Sri Lanka, Kenya and Nicaragua and spent two years helping to set up an international school in Penang, Malaysia. Emily has a Biology degree and PGCE from Oxford University and has been involved in interviewing PGCE candidates for the Department of Education. Whilst Biology has her academic heart she places considerable emphasis on the importance of extra-curricular activities and has many years’ experience running Duke of Edinburgh Award, diving trips, field trips, sports tours and overseas personal development expeditions. At Oxford University, she was more likely to be found in a boat than in the lab and represented the University in the Boat Race, being part of the first victorious Oxford crew for 10 years. Now she runs, cycles and is a keen netballer. 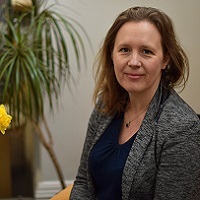 Fanny Gutjahr started teaching at St Clare’s in summer 2018. 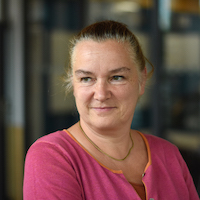 She studied Sociology, Pedagogy and Philosophy in Mannheim and Darmstadt to a master’s level.For 10 years, while still living in Germany, she managed a charity supporting schools’ in improving their pedagogical and educational concepts. During this time, she also taught at the University of Darmstadt, and led a research projects on how to implement better communication and mediation in schools. She gained additional specialist qualifications in family therapy and psychotherapy, which enabled her to get involved in the first email emergency call service set up in Germany, where she supported clients as well as she trained volunteers. Having lived in France and Germany her career as a teacher and translator took her to companies like BMW and the Ministry of Defense During. This time, she studied creative writing at the Open University (part-time), and in 2017 she gained her PGCE in Oxford. Fanny speaks German, French and English. As an admirer of different cultures, she has travelled through most of Europe, China, Georgia, Mongolia and Russia. Her passion for education, language, literature and the arts make her feel very much at home in a city like Oxford. Ian has taught IB Chemistry for over 20 years and is an IB examiner. He studied Chemistry at Bristol University before completing his PGCE. He spent 10 years teaching at international schools in Kenya, Uganda and Zambia, where he was Head of Science. During his career, Ian has taught all ages, from 6 to 20 years old, including both the UK and US curriculum. His students have come from scores of nationalities and backgrounds and the IB fits well into his international life. He loves introducing students to practical work and the variety of smells in particular. Ian believes everyone should smell ammonia at least once. He is involved in his local village Church and is a trustee of the charity Love Sierra Leone. Recently he has spent several summers volunteering in local schools in Sierra Leone, teaching classes of over 90, with no electricity, gas, books or chemicals. St. Clare’s is very different. While in Uganda, he also appeared regularly on a TV soap opera. Ida joined St Clare’s in 2017 and teaches Psychology and Swedish literature, and also runs the CAS Psychology film club. Ida was born in Sweden, but visited England with her family every summer from a young age and learned to love the country, its language and people. Ida has a degree in Politics & English and a PGCE from Uppsala University, and a Psychology degree from Stockholm University. She studied parts of her degree at the University of Hull and at Oxford Brookes University. Ida also teaches Swedish at Oxford University’s Department of Continuing Education. 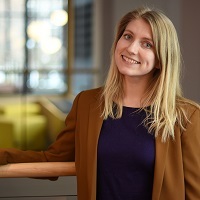 Ida returned to Oxford (for the third time) in 2016 and loves being back in the UK after 10 years of teaching at a popular secondary school in Stockholm. Jadwiga studied Literature and French at Jagiellonian University in Kraków and at Sorbonne IV in Paris. In 1986 she was awarded a Master’s degree in Romance Philology from Jagiellonian University, which included a Polish equivalent of PGCE. Between 1986 and 1989 she taught French at the French Institute in Kraków, after which she moved to Oxford. During her first three years in England she worked for Oxfam as a part-time translator, translating monthly bulletins from English into French. Jadwiga has been working at St. Clare’s since 1993, teaching both Polish and French. She has also been working as a residential warden, duty manager and library assistant. Jadwiga loves literature, films, art and has a keen interest in Japanese literature and culture. She also very much enjoys her voluntary work for Mind, the mental health charity. 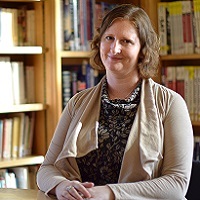 Jennifer Taylor has been teaching Italian literature at St. Clare’s since 2005. She is passionate about her subject and has always been immersed inlanguage and literature from an early age. Born in Turin, Italy, to an Italian mother and Canadian father she began her childhood in Germany, returning to Italy aged 7. Jennifer is a dottore in History of Art which she has studied alongside with Italian literature at Turin university and has grown up speaking 5 languages: Italian, English, German, Spanish and French. She studied in Berlin for a year having gained a place on the Erasmus scheme. She also obtained a creative writing diploma at Scuola Holden in Turin. She taught in Italy for two years before moving to the Cotswolds in 2005 where she lives with her potter husband, Adam, and their four children. Jennifer loves teaching at St Clare’s and continues to be very enthusiastic about her roots and regularly returns to Italy. Jennifer Wirth joined the Mathematics Department at St. Clare’s in 2011. With both of her parents as teachers, she had wonderful examples of the joys and commitment linked to the field of education. She received her BA in Mathematics from the University of Minnesota, Morris, while also working on her teaching certification. She earned a Masters in Curriculum and Technology from the University of Phoenix, and she uses her technology skills to ensure colleagues and students update their calculator software every year. Jennifer completed her teaching practicum in Geelong, Australia. The experience teaching overseas opened her eyes to the idea of blending teaching and travelling. She returned to her native USA and taught Mathematics at middle and high school levels before making the bold decision to return overseas. Her first overseas school was the American Community School of Abu Dhabi. During her tenure, she was Head of Maths and served as the first IB Diploma Coordinator after helping to bring the IB Diploma to the school. She also enjoyed participating in Habitat for Humanity projects that took the students to India and Bangladesh. Jennifer moved to Budapest to teach at the American International School of Budapest. After her time in Hungary, she followed her heart to the UK to marry her husband. Jennifer lives in Abingdon with her husband and two children. She has shared her love of travel with her family through local walks and trips to visit family and friends around the world. She aims to get back to trying new recipes with the assistance of her little chefs. Jessie Sim is a residential relief warden at St. Clare’s Oxford. She is a final year doctorate student at the University of Oxford where her research is about personal finance. 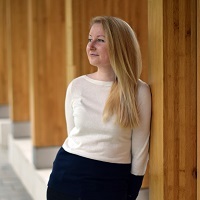 She has examined the different views about financial literacy and measured the financial literacy of young people in Oxfordshire and Greater London. She was also a research fellow at the Centre on Household Assets and Savings Management based in the University of Birmingham. 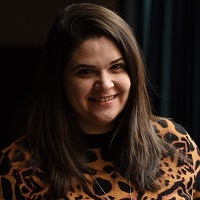 She has presented at various conferences, such as at the 2014 ESRC seminar series organised by the University of Edinburgh and the 2014 Social Policy Association conference at Sheffield University. In 2012, she won the Best Presenter Award at the annual research presentations day organised by the British Federation of Women Graduates. She has published a few briefing papers about issues relating to financial education in the UK. Besides her research degrees, Jessie also has professional qualifications in the fields of accountancy and teaching. Jing is a teacher of Chinese who joined St Clare’s in 2003. She currently teaches Chinese A: Literature, Chinese B, Mandarin ab initio and Pre-IB World Literature. She is also a personal tutor and has worked as an IB examiner. Trained as a teacher, Jing graduated from Central China Normal University with a BA in English Language and Literature, and she then did a postgraduate certificate in Comparative Literature in Wuhan, China. She also holds a PhD in Education and PGCE in Language Teaching from Goldsmith’s College, London. During her PGCE work placement, Jing spent one academic term at the prestigious Eton College, where she had an interesting and memorable experience. Before moving to the UK, she worked as a university lecturer, teaching English as well as Chinese to undergraduate students.In her spare time, Jing enjoys yoga, swimming and playing the piano. She also enjoys travelling with her family, exploring exotic places and authentic foods. As Head of Arts, John is passionate about music and theatre as well as his own subjects – visual arts and Theory of Knowledge. He has been at St Clare’s since 2002 after returning to the UK from two exciting years in East Africa. A graduate of Goldsmith’s College (BA Hons), the Institute of Education (PGCE) and Birkbeck College (MA), John’s international experience includes teaching in the USA and Africa as well as directing summer programmes in Italy and France. In addition to teaching, John is a principal examiner for the IB and runs workshops in the UK and overseas. Within the wider arts community of Oxford, John has made films for Modern Art Oxford on artists such as Jenny Saville and has encouraged students to participate in the ARTiculation prize. As a guitarist, John plays with the Cutting Edge Big Band and loves to be involved with the St Clare’s musicals. As a writer whose research has been published in the Burlington Magazine, John thoroughly enjoys working with students on extended essays in art. John lives in Oxford with his wife Catherine and their three children. John Woodings has been a teacher of English Language and Literature at St Clare’s since 2015 and has previously taught secondary English for ten years in Reading, in the United Kingdom, and as an English language teacher in Lima, Peru and Imola, Italy. Born in Ashby-de-la-Zouch, Leicestershire, he initially graduated with BA (Hons) from the University of Sheffield, with an exchange year in the University of Massachusetts, Amherst before going on to complete a PGCE in English with Canterbury Christchurch University College and an MA in Education for Global Futures at Reading University. John enjoys reading and studying contemporary English and world fiction; he has been fortunate to pursue a career teaching a subject which is complemented by his wide range of interests. A true jack-of-all-trades, he variously enjoys international travel, travel writing, cinema, philosophy, and outdoors sports. One area where he does not prevaricate is his near-obsessive interest in cycling, racing mountain bikes, and has raced locally and around the country, to no great distinction, but with great enthusiasm. He lives in South Oxfordshire with his wife Rita and their two young daughters, whose emerging personalities and aptitudes are a constant source of fascination and enjoyment. Jos studied English and Dutch at Leuven University in his native Belgium. In 1984 he was awarded a Master’s degree in English from the University of Kent with a thesis on speech styles in the novels of Charles Dickens. He taught (mainly Dutch) at Japanese universities for ten years, after which he moved to Oxford, where he obtained a BA in Japanese at Pembroke College, specialising in classical Japanese literature. In 1998 Jos published a comic novel set in Kyoto, and since then he has translated a good many Japanese classics for various Dutch publishers, to considerable acclaim – among them the 11th century novel The Tale of Genji; the travel journals of the poet Basho; Sei Shonagon’s Pillow Book; and an anthology of stories by Junichiro Tanizaki. Jos has written numerous articles on the art of translation and lectured on the subject in the Netherlands, Japan and the U.K. He started working part-time at St Clare’s in the autumn of 2000; he currently teaches Dutch, theory of knowledge and world literature. When not teaching, translating or reading simply for pleasure, Jos enjoys a wide variety of music (18th century opera in particular), the kabuki theatre and dishing up fake Italian pastas. Juan Pablo graduated in Psychology from the Universidad de San Simon in Bolivia, and completed courses in Audiovisual Language and Audiovisual Production in Argentina and Bolivia. Juan Pablo combined his experience in psychology and audiovisual production to work on the “DFD-PROFORTES Higher Education Strengthening and Transformation Project” in Bolivia, in coordination with the Universiteit Twente and the Vrije Universiteit Amsterdam, Holland. He also worked in the Department of Culture at the Cochabamba City Council in Bolivia, in the area of Communications, and was the production director of the film “La Cruel Martina”, which won the national Best Film of the Year prize. ​In the area of psychology, Juan Pablo worked in Bolivia as a psychologist for the National Foundation of Cancer Sufferers. Juan Pablo holds, and has held, many roles in St. Clare’s: between 2011 and 2014, he taught Spanish to Pre-IB students and he is currently part-time librarian, senior invigilator and has been working as a relief warden for 14 years. A very important part of his life now is looking after his little daughter, and in his free time, he enjoys casting off on his narrowboat, The Temeraire, with his daughter, to travel along the canals of England, and down the Thames. With a background in both the private and public teaching sectors, Julia Hammett has lived and worked in Finland and Italy where she taught for the British Council. 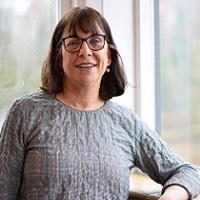 Julia is an experienced course designer who has devised many specialist courses in every type of English imaginable including technical courses for adults and a language course for diplomats which she taught at the University of Westminster, London. A graduate of the University of Dundee, Julia has a MA in English and History, a PGCE from Moray House in Edinburgh, and a Diploma in TEFL. 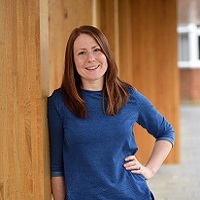 Before beginning her job at St. Clare’s where she has been teaching English and History since 2007, Julia worked as Director of Studies of the busy summer language programme based at Banbury Road. Julia has also produced successful theatrical events for summer courses at the school. Outside the classroom Julia is an active member of her local community and was a local Councillor for eight years. 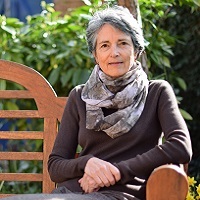 She is a passionate defender of the natural environment in Oxfordshire and, in her role as Chair of the Oxfordshire Badger Group, liaises with local councils and other organisations about planning issues and their impact on wildlife. Julia also enjoys field work and mapping out wildlife habitats in the countryside and is a Trustee of a British animal charity based in Sri Lanka. Julia joined St Clare‘s in 2011 as a part-time German language teacher. She has a History of Art and English Magister degree from Frankfurt University, Germany and a background in gallery education. It was at Westminster School, London that she discovered teaching her native language is exciting and rewarding. Even though Oxford, where she took a PGCE in Modern Languages, is her home now, she regularly goes back to Germany for a bit of European air. She enjoys gentle running and meeting with friends for book club evenings. Julia lives in East Oxford with her husband, three small daughters and two cats and likes to cycle to school through Oxford’s historic centre. Kevin Hennessy is a qualified History and Business Teacher with experience in the Republic of Ireland and an amazing opportunity to teach for three years in Botswana. His first degree was from Cork, Ireland where he also completed his PGCE. He then did a Master’s in Educational Management at Oxford Brookes University. In 2001 he moved to Oxford as the Creativity, Activity, Service (CAS) Co-ordinator at St. Clare’s, and in 2006 he was appointed Head of Department. He is a trained IB CAS workshop leader. He was awarded the UEFA B Diploma for Football Coaching in 2010 and is a member of the English Football Coaches Association. He has the Leadership in Running Fitness Award and is working towards the British Athletics Coach in Running Fitness qualification. Creativity, Activity, Service is at the heart of the IB Diploma programme. 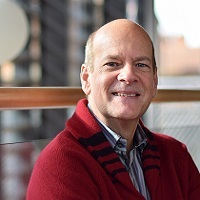 Kevin is attracted to the key idea that CAS enables students to enhance their personal and interpersonal development through experiential learning. He has organised and led school trips to Belfast, Barcelona, Jerusalem and most recently to Verona. He works with colleagues in delivering the Duke of Edinburgh Gold Award with expeditions across the Brecon Beacons Mountains in Wales. Kevin works closely with the English Language Courses Department at St. Clare’s. He has responsibility for the Summer English Language Activity programmes along with the recruitment and managing of the Summer English Language Activity Organisers team. His pastoral responsibilities have included being a Dean of Students on the Summer English Language courses and a House Warden from 2002 to 2006. Work aside, ultra marathons, off road running and his toddler Jack keep him fit and healthy. 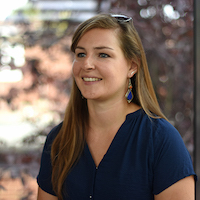 Kristel Vandenrijt joined the Humanities department as a Teacher of History in September 2018. She is also a Personal Tutor, and she’s involved in the Model United Nations sessions that are run at St Clare’s. Kristel is a qualified History teacher with an MA and PGCE from the Catholic University of Leuven, in her native Belgium. She is also an IB History Examiner, and has a CELTA qualification. Kristel is a true believer in the IB’s internationalism, and has lived on 3 different continents so far. Her first experience with living abroad came during an exchange year in Arizona, USA. After completing her teacher training, Kristel wanted to combine teaching with her love of traveling and exploring new places. She moved to Vietnam where she taught English as a Second Language to Vietnamese students. She returned to Europe afterwards to pursue her passion for history, and started teaching at the International School of Nice in France. During her time there, Kristel was involved in the development of the history curriculum, as well as responsible for the organisation of many school trips. Kristel moved to the UK to seize the amazing opportunity to become part of St Clare’s community. When not at school, Kristel has developed a real love for French cuisine, in particular cheese, and will be found hunting the UK to discover new flavours. She has a real sense of adventure which often manifests itself in traveling to faraway places or finding herself outdoors hiking. Kristina Galiniene started working at St. Clare’s in 2011 and joined the team of resident wardens in September 2016 looking after the 121 Old House. Prior to her current role, Kristina worked in several of Oxford’s international boarding colleges, providing both pastoral and security care. Being passionate about children’s care and welfare, Kristina specialized in Family Education and Protection of Children’s Rights, and completed a BA in this area from the State University of Lithuania. On graduation, Kristina was awarded a special Certificate of Appreciation and Gratitude from the University’s Rector for outstanding performance throughout her studies. Committed to providing high standards of care, she further obtained a licence from the Security Industry Authority. Kristina gained additional pastoral experience during her studies, completing a placement at a local orphanage supporting disadvantaged children with various activities and daily tasks. She found this role very rewarding and continued volunteering here after her placement ended. In her spare time Kristina enjoys travelling and experiments in baking. But of most of all, she enjoys spending time with her baby daughter. Lana has been with St Clare’s in different capacities since 2008. She started as a Dean of Students for summer courses, then became a non-residential relief warden for a few years and in the past two years she has been a warden for both boys’ and girls’ houses. Lana has a PhD in Economics from Kharkiv National University in Ukraine but she did most of her research at the Bodleian Library in Oxford while working for the University. At the moment Lana works as an Events Manager for a spin-off of one of the University colleges organising and leading activities for visiting University students. Lana has many interests including tennis, hiking, kayaking, cycling, theatre, reading, Morris Dancing and travelling. She volunteers at a local theatre and enjoys the opportunity of watching some great shows that come touring in Oxford. Lana used to live in Japan where she was a keen hiker and climbed Mount Fuji. She loves travelling and discovering different cultures. Lana has visited many countries in Europe and enjoyed many other exciting experiences in Thailand, Mexico, Egypt, Cuba, Morocco, China, South Korea and many other places. Last year she had her first skydiving experience flying over Stonehenge. Lana enjoys meeting new international students every year and watching them grow and blossom. Lewis Fraser is an Activities Teacher at St. Clare’s with the main role of overseeing the Creativity, Activity and Service (CAS) participation of the Pre IB students. He has worked at St. Clare’s since 2015. He graduated from the University of Gloucestershire with a First Class Degree in Sport and Exercise Science. Since graduating, he has gone on to complete a Level Three Diploma in Personal Training and Fitness Instructing and offers training programmes to St. Clare’s students. He has also completed a variety of other fitness instructing certificates, including gym based boxing and studio cycling. Since coming to St. Clare’s, Lewis has taken leadership of the Duke of Edinburgh Award programme and believes passionately in the skills this challenging award can develop. Lewis has been involved with a number of outdoor activities and sports. His main sport currently is golf, which he plays to a reasonable standard. In the future, Lewis hopes to complete a postgraduate degree in Public Health and continue his professional development in the fitness industry. Linda is the warden for 121 Banbury Road Garden Pavilion, looking after the Pre-IB girls and younger IB1s. She has held this role at St Clare’s since 2014, following a similar position at another of Oxford’s international schools. 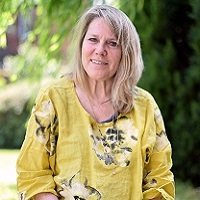 Linda is also a personal tutor and has experience in a wide range of other pastoral roles: as a support worker, as a trained University peer supporter, and as a college welfare officer. Linda completed degrees at The University of Applied Sciences, Amsterdam leading to Grade 2 diploma for teaching English; the University of Wolverhampton obtaining a BA in English Literature and Education; and the University of Oxford, gaining a Masters in Educational Research Methods. She also holds the In-service Certificate in English Language Teaching (ICELT) from the University of Cambridge. She taught English in Holland, Bulgaria, Nepal and the UK, but left teaching to pursue a doctorate at the University of Oxford’s Department of Education. 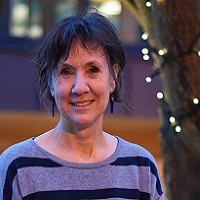 During her PhD Linda has contributed to publications in the fields of school and teacher effectiveness, and effective practices for English language teaching. Liz is an English teacher at St Clare’s. She has a degree in English Language and Literature from Oxford University, where she also studied for her PGCE. After graduating, Liz went on to study for an MA in History of Art, at the Courtauld Institute of Art, part of the University of London. She loves Literature, Art, History and constantly learning new things. Teaching has provided Liz with the privilege of working overseas in Italy and India, where she taught EFL and worked as a teacher-trainer. At home in the UK, Liz has enjoyed working in various schools, teaching English Language and Literature. Her spare time is filled with sketching, painting and writing. She is also a keen hill-walker and runner, although now she seems to spend most of her time running after her young family! Marina Kujić has been teaching Serbian Literature at St. Clare’s since 2003. She was born in Sarajevo, former Yugoslavia, and graduated from the Sarajevo University with a BA in English Language and Literature. She had worked as an English teacher before the outbreak of the Yugoslav war in 1992. When looking back, she feels very fortunate for escaping the war and for getting a second chance to start a new life in Glasgow, Scotland, in 1992. She spent eight years in Glasgow, studying and working in a bookshop. She had studied for the PGCE in Primary Education, University of Strathclyde and Postgraduate Diploma in Information Technology, University of Paisley. 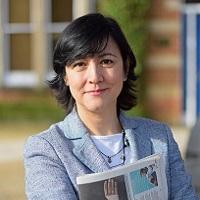 Marina moved to Oxford in 2000 and has since worked in administration at the Department of International Development, University of Oxford. She enjoys teaching at St Clare’s a great deal and finds teaching young people challenging, but also very rewarding and inspirational. When not working Marina enjoys reading and silent moments or just going for a walk. Mark studied Economics at Liverpool University, graduating in 1988. He attended Warwick University for his PGCE in Economics and Mathematics and began his teaching career in state schools in London and Berkshire. 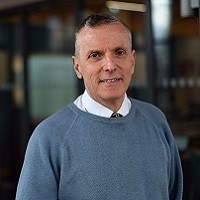 He has been teaching IB Economics at St. Clare’s since 1997, initially as Head of Economics and Business and subsequently as Joint Head of Humanities. He has a particular interest in game theory and in macroeconomic schools of thought. In his spare time Mark is a passionate rugby player, currently in transition from semi-retired to almost-retired. Marilou has been teaching Theory of Knowledge at St. Clare’s since 2015. She holds a MMus (Hons) in Music (Athens), an MA in Material and Visual Culture (University College, London), an MA in Music, Culture, and Communication (Athens), and a DPhil in Music Anthropology (University of Oxford). She is an Associate Fellow of the Higher Education Academy working towards a further teaching qualification (SEDA PDF). She was a scholar of the State Scholarships Foundation in Greece, receiving full funding for her doctoral studies. As an academic, Marilou is working in the field of digital humanities and is concerned with the study of the human condition as shaped by technology. Her articles have been published in peer-reviewed publications and she has been a recipient of academic awards (O’Reilly Media, RMA & BFE student awards, St. Peter’s College tutor for graduates award, Hebrew and Jewish Studies Unit Management Committee). 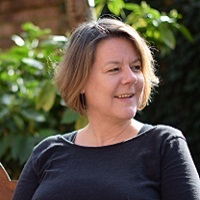 She also has experience in Advisory Group Committees (Royal Musical Association, University of Oxford) and consultancy (Song Collectors Collective). Currently, she is also teaching anthropology at the University of Oxford and Oxford-based schools. Marilou also works as a warden and a personal tutor at St. Clare’s. In her free time, she composes music. Matt has been working as a Chemistry teacher for seventeen years and has six years of experience teaching the IB diploma. Since arriving at St. Clare’s in 2012 he has also enjoyed teaching the Theory of Knowledge and is currently the staff development co-ordinator. 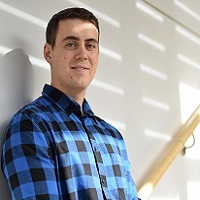 Matt studied Chemistry with industrial training at the University of Bath which included a year working in the research and development department of Shell in The Netherlands. He has always enjoyed opportunities for travel and has worked abroad in schools in Rome and Buenos Aires. In addition to his science teaching in Italy, he also taught maths, IT, and PE. He particularly enjoyed teaching Italians to play cricket. In his spare time, Matt is most often found exploring the Cotswold and Chiltern hills on his bicycle, but this is mostly just preparation for his more ambitious and exciting trips to the mountains of France and Spain during his holidays. Melanie Martindale has been teaching Geography and Environmental Systems and Societies at St Clare’s since 2013. Her first degree was from Liverpool University. She then completed a PGCE and a MA in Geography in Education from the University of London. Melanie has been teaching since 1990. She began her career in London before moving to Botswana where she spent nine years working in both government and independent schools. She moved to Oxford in 2004 where she was Head of Geography at a local independent school before heading to Thailand to teach IB in an International school. Melanie enjoys travelling and spends most of her holidays exploring the world. She has organised numerous trips for students including geography tours to Botswana, Sri Lanka and Iceland. She accompanied a group on a World Challenge expedition trekking in the Himalayas, in India. She has been involved in volunteering programmes including working with the sea gypsies in Thailand and setting up a permaculture garden in Botswana. 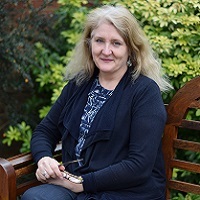 Melanie Moorhouse is the Head of Careers and has been working at St. Clare’s since September 2013, having previously been responsible for careers and higher education guidance at a large UK Sixth Form college. She is responsible for the planning and delivering of our Careers Education Program for both Pre-IB and IB students, including our large Higher Education Fair held each autumn. Melanie graduated from the University of Birmingham with a BA Hons in Ancient History and Archaeology with Medieval and Modern History in 2001. She spent time working in banking and retail management, including positions as a roll-out manager for new stores and a training manager, before moving to recruitment. She returned to university and completed her Postgraduate Diploma in Careers Guidance at the University of the West of England, Bristol in 2009 along with her professional accreditation, The Qualification in Careers Guidance (QCG). Melanie is an advisory board member for Hotcourses International (UK) and SACU, both of which are online services for students focused on higher education information and advice. She has previously given lectures at events for Careers Professionals at the University of South Wales and Goldsmiths, University of London as well as delivering training on careers guidance in an international context to Inspiring Futures (an independent career guidance service). Melanie runs a careers blog which has had over 25,000 views since she began it in December 2013. Melanie is mum to a young son so her time away from our students is very much focused on him. She is also a keen baker, is attempting to learn both Italian and Portuguese, and although she has less time for it now, still participates in historical re-enactment events engaging the public in learning about history. Nadia Jones was educated in Romania and studied Mathematics at Babes Bolyai University, Cluj. 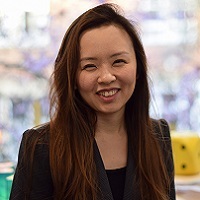 Following her Master’s in Numerical Analysis and teaching diploma, she taught in various schools in her home country before relocating to the UK in 2004 to learn English. Prior to her appointment at St Clare’s in 2009, she was a teacher of Mathematics at The Oratory School near Reading and at Wycombe High School. She is married with two young children. Although her passion is Mathematics, she also enjoys cooking, languages and travel. 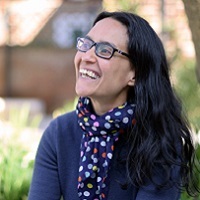 Nisha Bauluck graduated from the University of Sussex with a BSc (Hons) in Mathematics and French which she followed up by completing a PGCE in Mathematics. She has taught Maths since 1996 in various schools in England and joined St Clare’s in 2011. She is an examiner for the Standard Level internal assessment and is therefore very familiar with the requirements of this component. Nisha has taken on many different challenges whilst teaching and these have included Head of Maths as well as Head of Year roles. She worked with the University of Oxford on their PGCE programme where she was in charge of recruiting and training new Maths teachers. Now she has settled into the role of a full time Maths teacher as this is where she feels most fulfilled. In her spare time, Nisha has been following a yoga course for the last six years, where the focus is on the physical as well as the spiritual benefits of yoga. Otherwise, she can be found at her sewing machine or with knitting needles in her hands. Dr Olga Borymchuk is a teacher of Ukrainian Literature in the Modern Languages Department. She has been teaching at St Clare’s since 2010. She gained her BA degree at the National University of Kyiv-Mohyla Academy in Kyiv, Ukraine, and completed her Masters with Distinction at the Central European University in Budapest, Hungary. She was awarded a Doctorate from the University of Oxford and is a Fellow of the Higher Education Academy. Olga is also an Examiner in History for the International Baccalaureate and an Associate Lecturer at the Open University. She works as a part-time Academic Policy Officer for the University of Oxford. 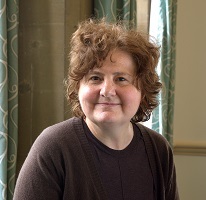 In her spare time she sits on the Committee of the Alumni Association for St Hugh’s College, Oxford, and co-edits its annual publication for alumni. 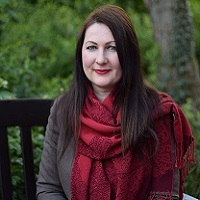 She is also a member of the editorial board for the Library and Information Research Journal, Association of Ukrainians in Great Britain and Oxford University Ukrainian Society. She is married and has two multi-lingual children. Rebecca Pyrah has been an Activities Teacher and the Creativity, Activity and Service (CAS) Coordinator since 2007. She has gained a wealth of knowledge in the field of CAS and extra-curricular activities and she enjoys adapting the provision of the programme to meet the needs and interests of the current students. Rebecca has a first class honours degree in Physical Education (PE) from Leeds Beckett University, and studied for her PGCE at Loughborough University. Before coming to St. Clare’s, she worked as a secondary PE teacher, and thoroughly enjoyed taking GCSE and A Level PE classes. Rebecca loves to travel and had a gap year before starting her teaching career travelling around South America, Australasia, South East Asia, China and India. She has used her passion for travelling by organising St. Clare’s trips to Northern Ireland, Barcelona and the mountains of Wales. Rebecca also helps with the delivery of the Gold Duke of Edinburgh Award, and values the skills that this challenging award instils in students. Moreover, Rebecca helps with the planning and delivery of the Summer English Language Courses. Rebecca is currently looking into becoming an IB CAS workshop leader. She lives with her husband John and their two sons Toby and Sebastian. When she does find some spare time she enjoys baking, gardening, yoga and keeping fit. Ricardo Da Silva Esteves was born in the Portuguese University city of Coimbra and subsequently brought up in Nantes, France. He teaches literature in French and Portuguese, and French and Spanish language; he has been teaching at St Clare’s since September 2005. After finishing his French Baccalaureate, Ricardo completed a Master’s degree in English and Portuguese applied to business and international affairs at Nantes University and first came to the UK on an Erasmus exchange, studying at Cardiff University. He then settled in Cambridge, working as a Language Teaching assistant for Anglia Polytechnic University whilst also running language classes for the Cambridge Alliance Française. In 2000 Ricardo completed his PGCE at Hughes Hall, Cambridge University, beginning his teaching career at Comberton Village College. He then taught at Didcot School for Girls before coming to teach at St Clare’s. Ricardo came to us with a breadth of teaching experience from primary school language workshops, GCSE and A level, to adult evening classes and business courses. As well as teaching both language A and B courses, Ricardo has also been an examiner for the IB for a number of years. In his teaching, Ricardo strives to give his students first hand experiences and encounters with the languages they are studying. Consequently, each year Ricardo organizes and runs trips to both Paris and Lisbon. Ricardo is a passionate linguist who relishes the cross-cultural exchanges between the four cultures that have shaped his intellectual development. He is an avid reader, cinemagoer and gardener, with strong interests in both the visual arts and music. Ricardo divides much of his spare time between the UK, Northern Portugal and France. Roni has been teaching in St Clare’s since the early 1990s. She introduced the study of Business Management at IB level to the college and is currently a teacher of both Business and Economics. Roni graduated with a BA (Hons) in Politics and Economics from Tel Aviv University and also gained a Post Graduate Certificate in Education (PGCE) before embarking on a teaching career. Roni subsequently completed an MBA in the UK. Through her teaching career Roni has been an examiner for the IB Organisation in Business Management. 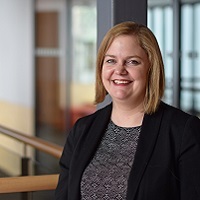 She is the current Deputy Chief Examiner for Business and Management which involves all matters connected with IB examinations in the subject worldwide including writing, grading and establishing examination standards. For many years Roni trained IB examiners and she has also been a member of two curriculum review committees. Additionally, Roni has led over 65 IB workshops for new and experienced IB teachers in Europe, India, SE Asia and South Africa. Apart from the UK, Roni has lived and worked in New Zealand, Kenya and Israel. Roni is the mother of two sons. She relaxes through regular movie-going, swimming and reading novels. 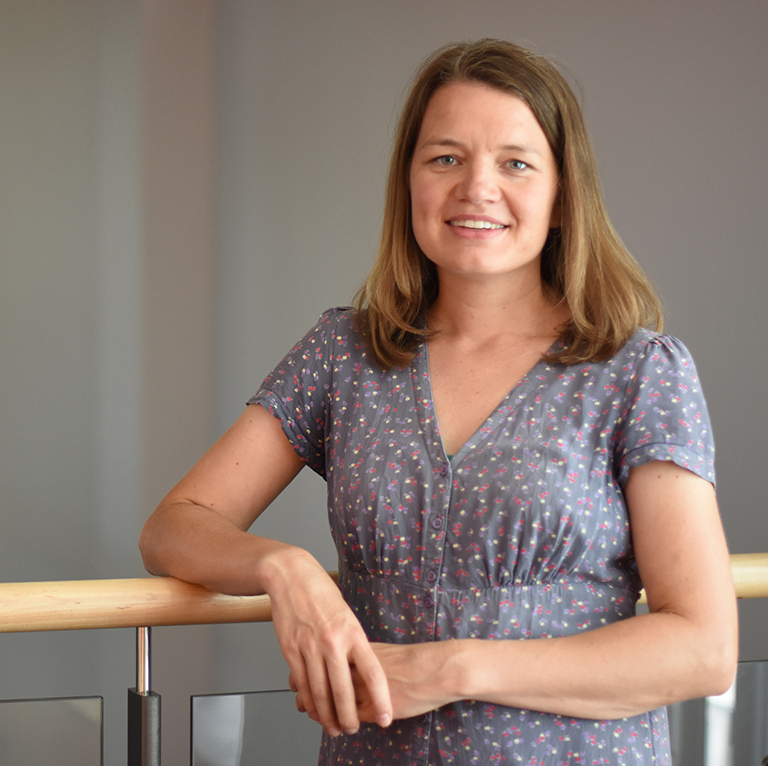 Sarah Jinks is Head of Biology and teacher of Theory of Knowledge, as well as being the learning difficulties and disorders coordinator and medics supervisor. In addition, she is an IB examiner for Biology. Sarah has taught at St Clare’s since 2006 after teaching positions elsewhere in Oxford and in Costa Rica. She also teaches on numerous IB introduction and revision courses at St Clare’s and around the world. Her aim is to fill the Biology lab with a range of animals and plants and to help students learn a love of barnacles on the annual field course whilst writing their internal assessment. 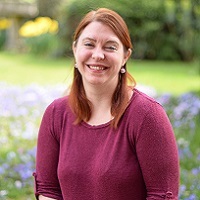 Sarah has a degree in Biological Sciences from the University of Warwick, and a PGCE and Masters in Learning and Teaching from the University of Oxford. She takes an active interest in the role of ICT in learning and is a certified Microsoft Innovative Educator and a Quizlet ambassador. She has written about Biology extended essays for the IB Review and has also written several Biology textbooks for Harper-Collins Publishers. In her spare time, she can be found sailing yachts and singing regularly with the Oxford Bach Choir, most recently performing on a recording for Jonathon Dove’s ‘For an Unknown Soldier’ with the London Mozart Players. Solveig Alsaker is the Norwegian Literature teacher at St Clare’s Modern Languages Department. She has a BA (hons) in Modern Languages and European Studies, with an exchange year in Moscow and Paris, and a MSc in International Development from University of Bath. After graduating, she worked as a part-time teacher at a Norwegian secondary school while taking on various projects as a freelance translator for a media translation and localisation company. In 2014, Solveig started working as an immigration consultant in the international department of the Southwestern Police District in Norway where she regularly used her language skills for translation and interpreting purposes. 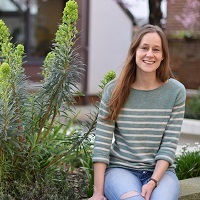 Having accepted a job offer from University of Oxford, Solveig returned to the UK in 2016 and started teaching part-time at St Clare’s in January 2018. In her spare time, Solveig is a keen runner, plays handball for the University’s handball team and loves to travel and explore new cultures and languages. Sophie Howells joined St. Clare’s as a teacher of English and Theatre in 2016. She currently teaches Pre-IB English, Pre-IB Theatre and IB English Language and Literature. A graduate in English from the University of Manchester, Sophie taught in the Northwest of England following her Postgraduate Certificate in Education, before a love of all things French led her to take up a teaching position at an international school in Lyon. Sophie became an examiner for the French Baccalauréat during this time. 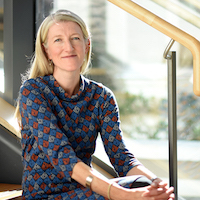 More recently, she spent ten years at another independent school in Oxfordshire, where she developed an in-depth knowledge of the university application process in her role as a Deputy Head of Sixth Form. As a teacher of Language and Literature as a combined subject, Sophie has pursued an interest in the relationship between the two disciplines. This summer, she is greatly looking forward to working with Pre IB students on their production of We Will Rock You. Away from the classroom, Sophie travels the world vicariously through her reading of travel writing. For the last couple of years her hockey stick has been gathering dust, but she would like to take up her favourite sport again. Steve Marshall is an IB enthusiast with international experience in the Seychelles, Jordan, Spain, Brazil, China, and Ethiopia. 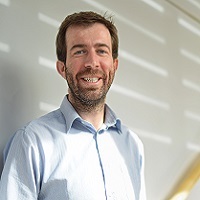 He is currently Head of the Geography and Environmental Systems and Societies (ESS) Departments at St Clare’s, where he has been teaching since 2007, and delivers science and geography courses during summer school. He organises and oversees the annual residential field trip to Dorset, recently visited Iceland with a group of St Clare’s students and coaches the school volleyball club as a CAS activity. He holds a BSc (Hons) in Geography and PGCE from Newcastle University (UK), taught at King Edward’s, Morpeth in the North East of England for a number of years, and played volleyball at National League level, which explains his ‘adopted Geordie’ status and his curious support of Newcastle United. Previous posts have included teaching Geography, Asian History, Biology, Economics and Business, Head of Economics, Head of Humanities faculty, Board Member, IBDP Coordinator and Examiner. He recently edited the new IBDP Pearson ESS course textbook and is currently editing and in charge of quality control of Kognity on-line textbooks in ESS and Geography. He also leads category 1 and 2 teacher training workshops in Geography and ESS throughout the Euro/African region for St Clare’s, the IBO and other providers including IBICUS and In Thinking. He lives locally in Marston with his wife Mej, and two young boys (Zayne and Zak), which has temporarily curtailed his wanderlust, and spends the little spare time available to him playing and watching numerous sports, with a single figure golf handicap a future target. 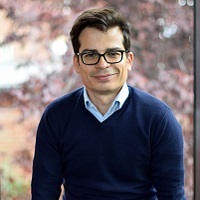 Suso Rodríguez-Blanco has been teaching Spanish Language and Literature at St Clare’s since 2002 and he became Head of Modern Languages in 2011. His alma mater is Santiago de Compostela, Spain, where he completed his BA in Spanish and English literature in 1992 followed by a PGCE and a postgraduate degree in Comparative literature. 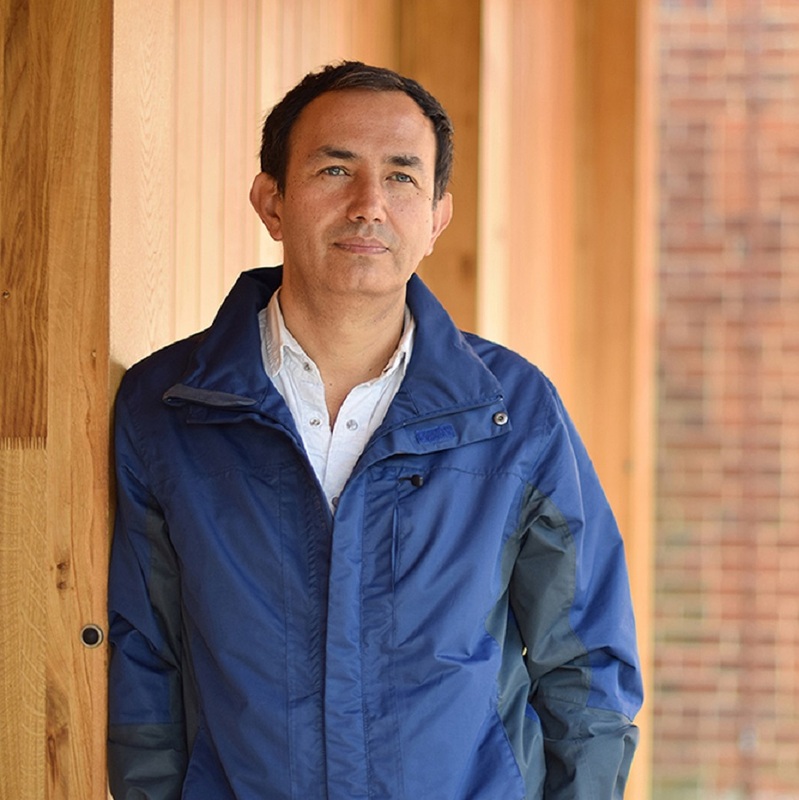 Suso started his career as a researcher in literary theory in Santiago and his experience in education began in 1998, when he was appointed to teach Spanish by Liverpool University and then Knowsley Community College before joining St Clare’s. Suso is passionate about the IB Diploma and he has been a team leader of Spanish B examiners, as well as a regular member of standardisation and grade award committees and a workshop leader. He also took part in the IB joint groups 1 and 2 curriculum review and he wrote the Spanish B Course Companion and Skill and Practice books published by Oxford University Press. Moreover, he works every summer for the Department of International Courses of the University of Santiago de Compostela, where he teaches Spanish literature and culture to Spanish teachers from all over the world. Apart from literature, Suso enjoys independent cinema, early and sacred music, flamenco, classical art and exploring the wonderful landscape and gastronomy in his native Galicia, as well as resting in old monasteries or castles turned into hotels. Tatiana graduated from Moscow State University with a degree in Soils Science and spent several years mapping and studying soils of Northern Russia. Tatiana joined St Clare’s in 1998, and has been supporting science teachers since then by providing practical support in the labs and on the annual field trip to Pembrokeshire. In 2006 she also become a Personal Tutor. When not looking after students, teachers, pets and plants in Biology lab she is tending to her allotment or exploring the mountains of Scotland and Wales with her family. Teodora has been a teacher of Bulgarian Literature at St Clare’s since 2011. In 2012 she also joined the Theory of Knowledge team, and in addition to the regular TOK lessons, she teaches introduction to critical thinking to teenagers in some of St Clare’s summer courses. She also works as a part-time Library Assistant, and has established a collection of books in Bulgarian in the college library. Teodora’s background is in the field of media. She has BA and MA in Journalism (Sofia 1988), and read for MSc in Media and Communications (LSE 1996). Earlier in her career, Teodora worked in PR for a national NGO, and as a journalist in a national daily in Sofia, Bulgaria. After settling in the UK, she worked in London as a Producer-Presenter in the Bulgarian section of the BBC World Service (1995 – 2003). 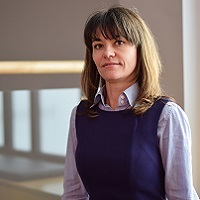 Teodora’s career in education began in 2004 in Moscow (where she followed her husband), in the Anglo-American School (where she followed her daughter). 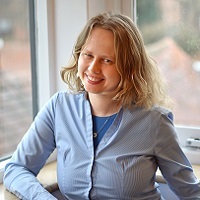 After returning to England from Russia, Teodora taught Colloquial Bulgarian at the Faculty of Medieval and Modern Languages at Oxford University (2011-2012). In January 2015, together with a friend, she established a weekend language school for the children of the Bulgarian community in Oxford, which she continues to manage. 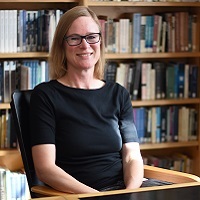 Tessa Ely joined St. Clare’s in 1999 as the Director of Short Courses, moving in 2004 to manage the IB boarding and taking up residence in college together with her husband Colin and two children. 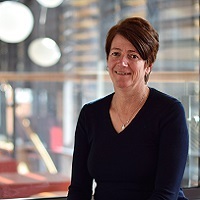 Since 2014 she has been the Assistant Principal (Pastoral), responsible for our residential boarding staff, personal tutors and the monitoring of student progress, welfare and discipline. Having graduated in music with a BA Hons from the University of Leeds she gained post graduate qualifications in teaching English – an MA from the University of Reading Centre for Applied Language Studies and Linguistics and the RSA / Cambridge DTEFLA. An avid traveller, Tessa has taught English overseas in Italy, Australia and China and has been a speaker for professional organisations including ARELS, IATEFL and the British Council. Tessa maintains a lively interest in helping young people achieve their potential through her work and also as a parent – she has a son and daughter both now at university. Music is a passion and she regularly performs with the Henley Symphony Orchestra and Cutting Edge Big Band. She has also cycle toured in the UK and Europe as well as Tunisia, India, Malaysia and New Zealand! Ulf-Wedig v. der Osten is a Teacher of Economics and Business Management. He has been teaching since 2006 and at St. Clare’s since 2010. He graduated from the University of Hohenheim in Stuttgart, Germany with an MA in Economics and Management in 2002. After working at the University of Navarre in Pamplona and the European Parliament in Brussels he did his teacher training at the Institute of Education in London. Since 2010 he has been the Link teacher for the Young Enterprise group at St. Clare’s and he is also a Personal Tutor to a group of Pre-IB students. A German native, he enjoys building birch plywood furniture with his German engineered power tools and spending time with his family. Vicky Bullard has been teaching English and Theory of Knowledge at St Clare’s since 1983, making her the longest serving teacher in the college. She has a degree in English from Oxford University where she also studied for her professional teaching qualification. 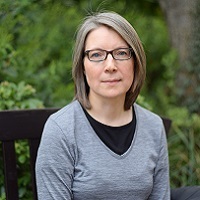 After three years teaching English to the whole age range (7-77) in Imola, Italy, she returned to Oxford taking up the post at St Clare’s, initially as part time teacher of English A and Theory of Knowledge, later adding teaching of English Language and Literature and TOK coordinator. She loves literature and theatre and enjoys the opportunity of living in Oxford where she can go to university lectures in literature and current affairs, particularly environmental politics. She speaks Italian, French and a little German and Spanish. Another interest is music: she plays the piano and sings in a choir. She is a keen cyclist and has travelled with her husband and their tandem in more than 15 countries. A European citizen, Vicky Watson has lived and worked in France, Italy, Poland and the United Kingdom. With a background in both literature and linguistics, Vicky has a BA in French and Italian from the University of London; a diploma in TESOL from Trinity College, London; a maîtrise from the Faculté des lettres d’Avignon and a PGCE from Christ Church College, Canterbury. Vicky has been teaching English at St Clare’s for two decades and is an IB aficionado who believes the IB is gradually making the world a better place. An IB examiner for Group 1 English, Vicky is also an IB teacher-trainer who has led successful workshops all over the world and taught numerous IB revision courses. Outside the classroom Vicky likes learning languages, riding horses, playing/learning musical instruments, painting and reading (everything from Shakespeare to dystopian fiction to 18th century diaries to Tolkien to Patrick O’Brian’s Aubrey-Maturin series). Vicky is also a keen collector of boxes and fountain pens. She is a member of the Linguistics Association of Great Britain, a proud holder of the Gold Duke of Edinburgh’s Award and a politically active pro-European.